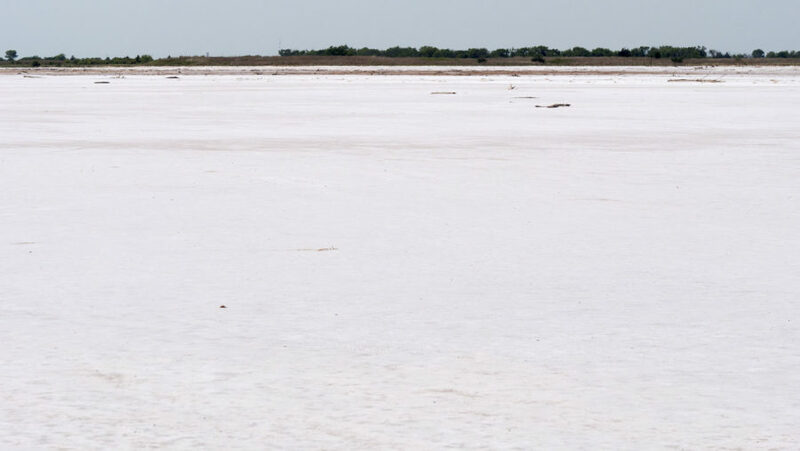 If you’re looking for an adventure featuring an activity you can’t do anywhere else in the state of Oklahoma, plan a road trip to the Great Salt Plains State Park where you can dig for selenite crystals. Selenite crystal formations occur when the mineral gypsum mixes with the area’s moist, salt-saturated soils. An hourglass shape of sand, clay, and iron often develop inside the crystal. This is the only place in the world where selenite crystals with this unique hourglass shape can be found. While digging for crystals in the southwest portion of the state park is the main attraction, it’s not the only one. There are many beautiful areas to visit and trails to traverse, including an auto tour route where you can view an abundance of wildlife. Once in the digging area, stay on the designated road. Shorebirds nest on the flats. 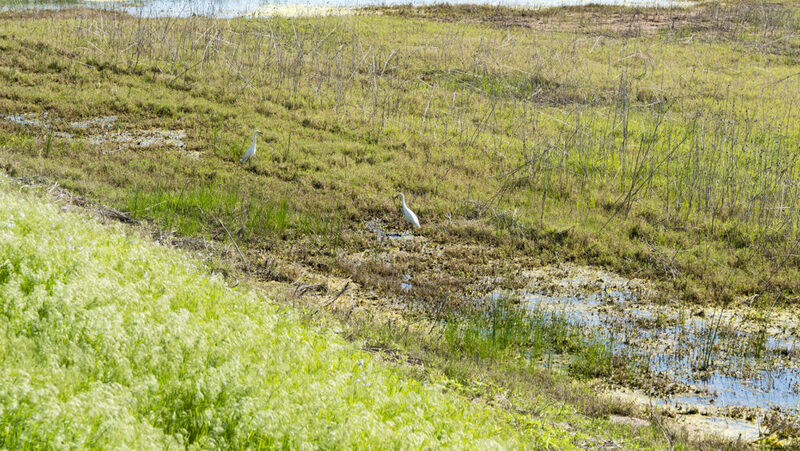 Their nests are camouflaged to the soil so you may not see them. Additionally, the ground is much softer than expected off the road. Due to the white salt surface, getting sunburned is easy. Sunglasses, sunscreen, and protective clothing are recommended. Due to the winds, it is best to bring sunscreen lotion and not spray. Drinking water is not available at the dig site so be sure to bring water and pack some snacks. Be sure to thoroughly wash your car after leaving the flats as the salt can eat away at your paint. 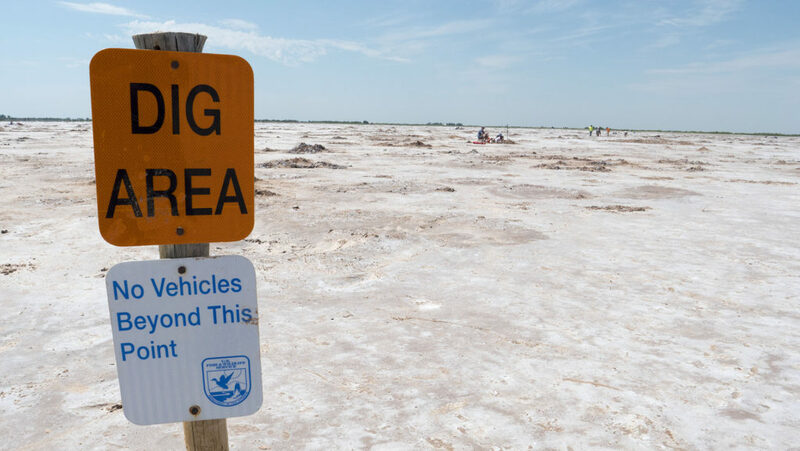 Overall, the Great Salt Plains State Park is an adventure worth experiencing. My wife and I enjoy our time there and thought it was worth the drive. The New Trail in the Woods – Un-true Stores. True Imaginations.